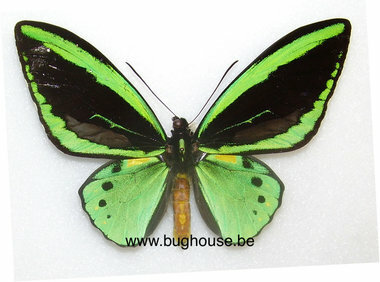 Ornithoptera - Bughouse the online insect and taxidermy shop. These butterflies are sold with cites that are only valid within the european union. When purchasing these butterflies, we include the cite number on your invoice. Purchase of butterflies with cites outside the european union is on your own responsibility. Bughouse can not be held responsible for confiscation by customs outside the EU.